When friends ask me how I wound up doing what I do in ministry, I tell them I got my dream job at twenty-six. Actually, I was still twenty-five and the Pastor to Single Adults at Lake Pointe Church in Rockwall, Texas, when the initial call came. I was seriously considering planting a church in the North Dallas area when Bruce Wesley, Senior Pastor of Clear Creek Community Church in the Houston area, asked if I would be interested in a new position he was creating. The role? Teaching Pastor. At the time CCCC was a Willow Creek-model in that the weekend was specifically dedicated to reaching the unchurched via a seeker service but was still new enough (4.5 years old) that it hadn’t established a “believers’ service” yet. Bruce said he was looking for a man who was passionate about teaching verse-by-verse through books of the Bible and be the lead on starting a midweek service which would become the weekly worship service of CCCC. I was intrigued from the get-go. Bruce and the small team of leaders he had assembled were men and women of incredible character, passion, and sincerity. In our discussions he made it very clear he wanted CCCC to be a “lifer” job for me, not some stepping stone to something bigger and better. I remember telling him that if my gifts, talents, and passions would be maximized at CCCC then I doubt, Lord willing, I would ever sense the need to leave. 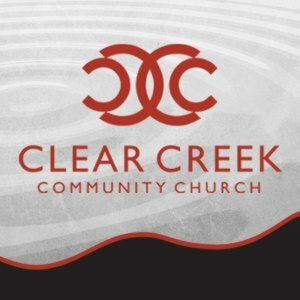 A few months and several interviews later, I accepted the position of Teaching Pastor of Clear Creek Community Church. My wife, Jennefer, and I packed our stuff into a U-Haul and drove from Dallas to Houston on June 1, 1998. It was our two-year wedding anniversary. I would start that following Monday. June 8, 1998. Fifteen years later I’m still here. I am grateful for a senior pastor who took a risk by hiring on potential and, better yet, actually let me develop that potential. How many church planters less than five years into things open up their pulpit to another weekly voice? Bruce did. He was 36 and still trying to grow a healthy church by leading from the pulpit when he gave the keys to a relatively untested 26 year old “kid” still wet behind the ears from seminary. Bruce trusted what he could see in my future than what he couldn’t see from my past. At the risk of sounding arrogant, I’d like to think his leap of faith paid off. Within the first decade at CCCC, I easily preached 400-500 sermons allowing me to find my voice as a preacher while listening and learning from one of the best communicators around. Now, fifteen years later, I believe one of the best ways I can serve CCCC is through regularly preaching God’s Word. It not only matters what you do, but who you do it with. One of the first things Bruce told me is that he wanted to do life with the people he loved. In other words, he wanted to have a staff full of friends…good friends, not just co-workers. This is in contrast to some influential voices that caution leaders not to hire their friends because of the unique problems that may follow. But you pick your problems. We simply decided we would rather have problems with our friends on staff than without them on staff. Life is too short to lock arms with people you respect but don’t really want to do life with. I can tell you that my daily week in the office is so much more enjoyable and blessed because of getting to do what I love with those I love. For what it’s worth, if you don’t like the staff you work with, either find a way to love and respect them or find another church. Don’t just find a role you love but a staff you will love to serve with. If you’re a senior church leader, pick the problem of hiring people you love. The alternative isn’t worth it. I love Clear Creek Community Church. Period. I am grateful for the lessons learned in my fifteen years at CCCC. Here’s to learning (and applying) more in the next fifteen. Do You Need to Study Less? Congratulations on a piece well written. I was a proponent of “don’t hire friends” for many years…or don’t become friends with those whom you must evaluate. Your point, however, is well taken and I am so happy that you are happy and serving CCCC. They are indeed fortunate to have you and you them. What version of the bible do you and Bruce Wesley teach from? Thank you for all you do and have done for the Bay Area community! You’re teaching and Bruce’s teaching is awe-inspiring, and was pivotal in leading me to Jesus.